From Goodreads ~ Whether it’s an umbrella cockatoo who’s not eating, a depressed chinchilla, a pregnant potbellied pig or a ferret possibly needing surgery, exotic animal vet Laurie Hess is at the front lines with some remarkable pets – and their equally eccentric, dedicated and sometimes demanding owners. 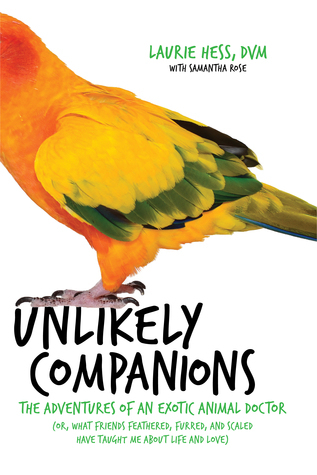 Following a week in Dr. Hess’s life as she tries to uncover the source of an unknown ailment killing some of her most vulnerable patients, "Unlikely Companions" is an "All Creatures Great and Small" with a mysterious twist that includes a special message about managing our most important relationships - those with our friends, coworkers, children, spouses, and ourselves. I enjoy reading books about animals and this one caught my eye. 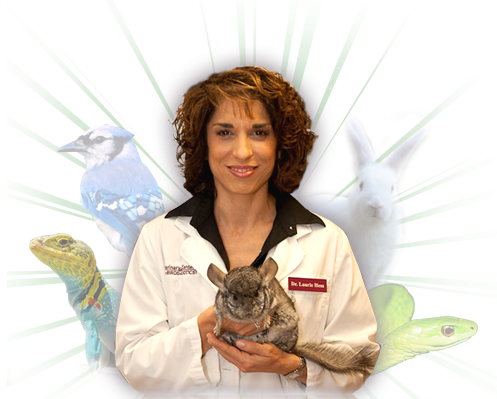 It's written by Dr. Laurie Hess, an internationally recognized expert on bird and exotic pet medical care. 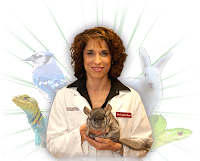 She is the owner and founder of the Veterinary Center for Birds & Exotics in Bedford Hills, NY. This book chronicles a week in her life, both at the Veterinary Center and also in her personal life. During this week, she treats sugar gliders, rabbits, ferrets, birds, guinea pigs, lizards, hamsters, turtles and a lot more. Not only does she tell about her patients and the care she provides for them but also the stories of their owners. That week sugar gliders had started getting ill and passing away and she eventually figured out what the cause was. 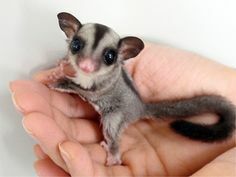 Before reading this book, I didn't know what a sugar glider was ... they are so cute! She also tells of the toll of her being a vet takes on her family ... late nights staying at the center taking care of sick patients, missing events in her family's lives such as her son's soccer games, date nights with her husband, etc. She's diabetic and she has to remember to take care of herself too. She strives to find balance. I liked the writing style. It's written in first person in Laurie's voice. She tells stories of her patients today and also reminisces about patients and pets she's had in the past. Her love of pets, regardless of what creature it is, comes through. I enjoyed this book and would recommend it to all pet lovers.